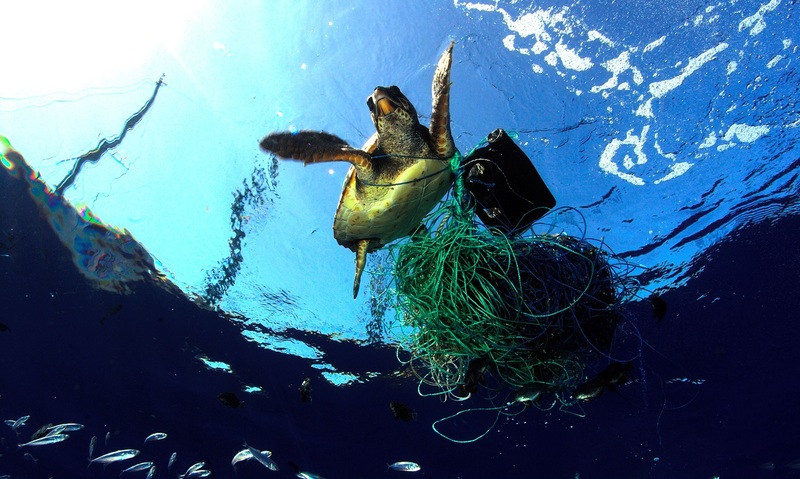 Rome/Bonn, 20 July 2018 - On 12 July, during the 33rd Session of the FAO Committee on Fisheries (COFI33), held in Rome, management solutions for ghost gear, also known as abandoned, lost, or otherwise discarded fishing gear (ALDFG), and bycatch were discussed in a side event. FAO Member States Vanuatu, Samoa, Fiji, Palau, Belgium, the Netherlands, New Zealand, and Panama served as hosts for the event organized in collaboration with FAO, the International Whaling Commission (IWC), World Animal Protection, WWF and CMS. The issue of ghost gear, which is virtually ubiquitous in all fisheries worldwide, has significant economic, social and environmental consequences, both as a form of marine debris and because of the risk it poses for incidental capture or entanglement of marine life. The side event underscored the importance of designing a global strategy collectively to address ghost gear and its impacts and encouraged FAO Member States to develop national plans to prevent, reduce and eliminate ghost gear. The session also provided the opportunity to discuss whether proposed bycatch mitigation measures have proven effective without reducing target catch, and to determine what areas, such as data collection, monitoring or implementation, may benefit from technical assistance. While effective mitigation strategies exist for some taxonomic groups or fishing gears, the spatial and temporal distribution of many fisheries, and thus the incidence of bycatch, remains difficult to document and monitor consistently. A video of the side event can be accessed here. The gathering of key fora such as this are essential to the goals laid out in the UNEP/CMS resolutions on the Management of Marine Debris (Resolution 12.20) and Bycatch (Resolution 12.22) adopted by the Conference of the Parties at its 12th Meeting. Ghost gear is at least three times more likely to impact marine life, through entanglement, than all other forms of marine debris combined. Approximately 45% of all marine mammal species on the International Union for Conservation of Nature (IUCN) Red List of Threatened Species have been affected by lost or abandoned fishing gear and, according to available global estimates, at least 650,000 marine mammals, 700,000 seabirds and hundreds of thousands of turtles are caught in fishing gear every year. Comprehensive, collaborative approaches are and will continue to be necessary to protect marine migratory species, and to further the work CMS and its daughter agreements are committed to do. The side event provided the perfect forum to learn about techniques and approaches that have proven successful as well as to gain insight into the various challenges that countries still face when tackling the issue. CMS involvement was a direct result of the collaboration with the IWC as part of the IWC Bycatch Mitigation Initiative (IWC-BMI). The CMS COP-appointed Councillor for Bycatch, Barry Baker, serves on the BMI Expert Panel, and the Secretariat is part of the Standing Working Group (SWG) on Bycatch under the IWC Conservation Committee. Such collaboration is crucial in addressing and contributing to the implementation of Sustainable Development Goal 14 to conserve and sustainably use the oceans, seas and marine resources, the targets of which address threats from both marine debris and fishing practices.